Daniel- It was 6:15 am on Saturday, May 14th when I got the first text that you were preparing to make your way into the world. Your parents had spent their Friday night enjoying one last movie date as a couple and all the while your mom had been having pretty decent contractions that really picked up in intensity during the night, so she didn’t get much rest. 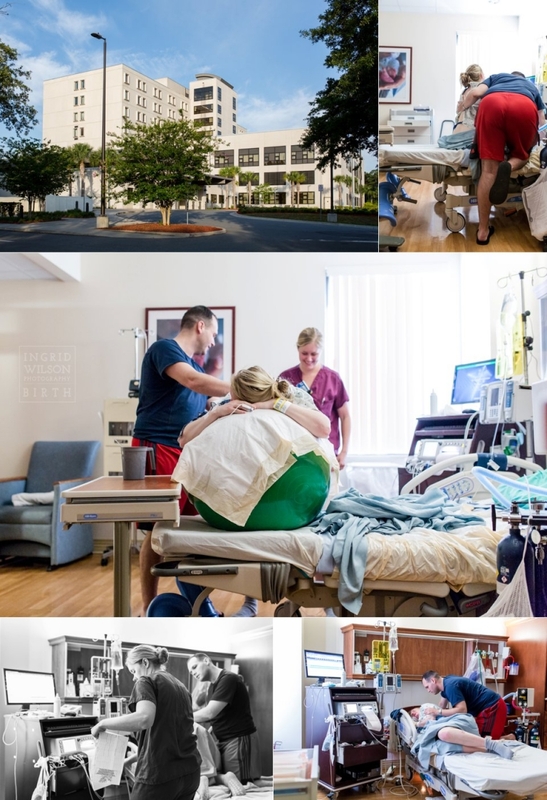 When they arrived at the hospital that morning they were surprised to find that all those regular contractions hadn’t accomplished much yet, so they opted to check in to the Navy Lodge so that they could labor peacefully, yet still be close to the Naval hospital. It was a long day following that long night, with slow but steady progress. I got to visit for a short while to capture a bit of the hard work both your mom and dad were doing as they were waiting for you. 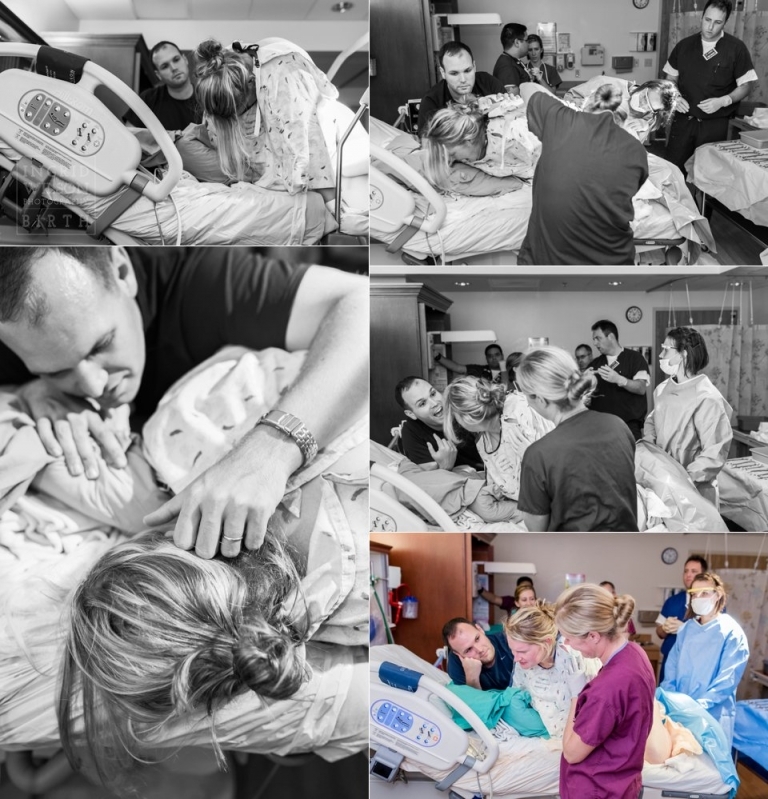 Instantly I was struck by how involved your daddy was in each and every labor pain, offering encouragement, counter pressure, massage, water, breathing reminders, and more. 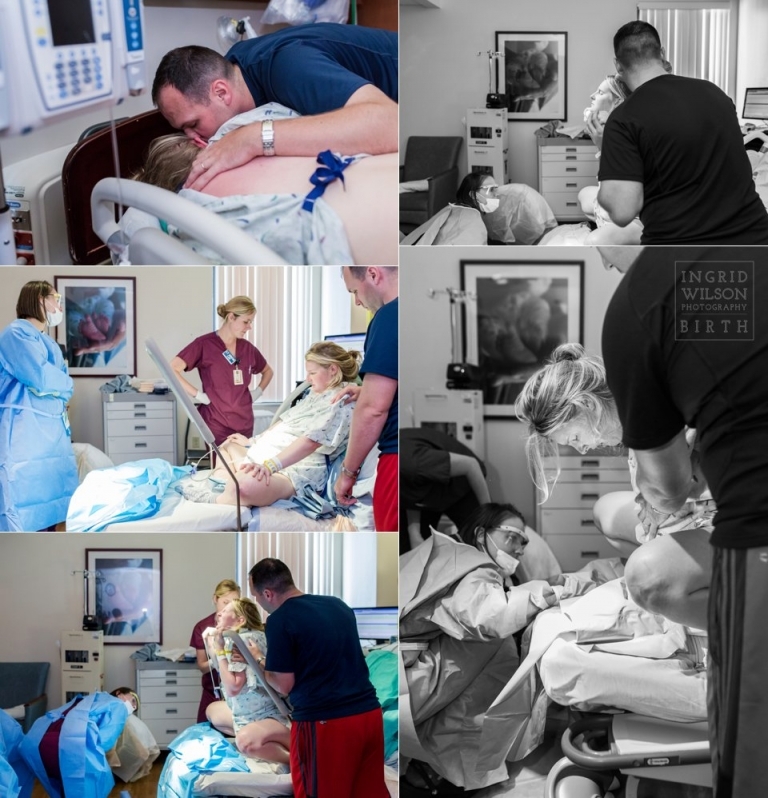 He may not have been experiencing the pangs of each contraction, but he was working alongside your mama the whole time and I could clearly see his growing excitement about meeting you for the first time. A late night visit to the hospital for another check showed that more progress was happening, but still your mom and dad wanted the freedom to labor comfortably, so they returned to the lodge again until early on Sunday morning when it was obvious that it was “go time”. That is when I got the second text to come to the NAS JAX Naval Hospital to capture your very beginning. The birth team was incredible and felt much more like one big happy family than a room full of doctors and nurses. Nurse Kelly was especially incredible and never left your mama’s side. It was amazing that she and Dr. Saint were there on your big day since they both know your mama, one from serving together and the other from church. I was impressed with how mama-centered everyone was- even the Commander said “We’re going to give you all the control you want,” encouraging your mama that she was doing an amazing job and following her instincts was their desire too. As Nurse Kelly continually monitored you, she said “You have a happy baby. He looks great!”- probably because you were still snug in your amniotic sac all the way through till the very moment of your delivery, which was pretty amazing. You came out crying, with a perfect little head and your apgar scores were wonderful (my husband always asks what they were-haha). There was an immediate sense of relief and joy and renewed energy the moment you joined the world. You weighed a perfect 7 pounds, 9 ounces and were 20.5 inches and were sucking your thumb as you were all snuggled up with your mommy.